According to Instagram, he is about to form a new DJ supergroup alongside Dillon Francis. There’s just one problem — they don’t have a name yet. Ok, so this whole “DJ supergroup” thing is probably not happening. 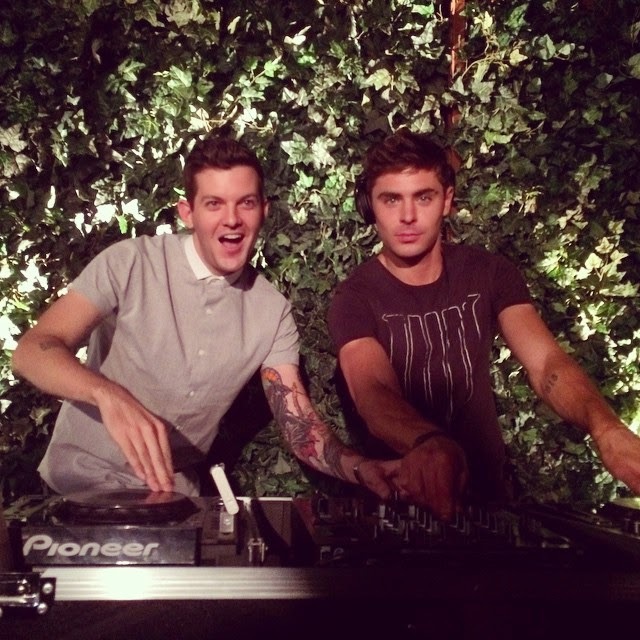 But, Zac is the star of “We Are Your Friends,” an upcoming, EDM-themed movie directed by MTV’s own Max Joseph. Maybe this pic has something to do with it? A few trailers for the film have been released, but it’s still unclear whether Zac will play a DJ or just a fan of the genre. “We Are Your Friends” is due out sometime next year.